Current projects include research on the development of systems that seamlessly integrate scientific data and literature, the semantic interlinking and annotation of scientific resources, the study of the impact of social media and networking sites on scientific dissemination, and the analysis and visualization of astronomical data and research communities. Dataverse is an open source web application to share, preserve, cite, explore, and analyze research data. It facilitates making data available to others, and allows you to replicate others' work more easily. Researchers, journals, data authors, publishers, data distributors, and affiliated institutions all receive academic credit and web visibility. Glue is a Python library to explore relationships within and between related datasets. Glue-con wil be the first-ever "glue-con" this Summer in Cambridge. The goal is to gather the growing community of leaders and developers who'd like to connect to glue, and extend glue's functionality. 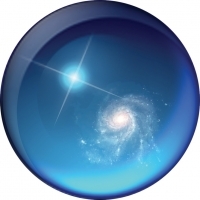 The Unified Astronomy Thesaurus (UAT) is an open, interoperable and community-supported thesaurus which unifies the existing divergent and isolated Astronomy & Astrophysics thesauri into a single high-quality, freely-available open thesaurus formalizing astronomical concepts and their inter-relationships.